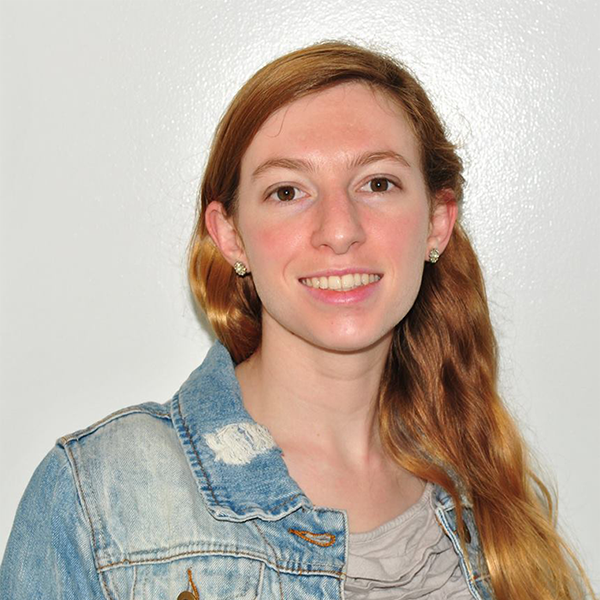 Pre-med student, Rebecca Fox, is a troubleshooter. In 2015 she injured her wrist while practicing Shotokan Kata, a style of martial arts. Nine months and several unsuccessful doctor visits later, she was still in pain. So she went to the ER and insisted on an MRI. Although she finally got it correctly diagnosed, she was warned that since it had already been so long, there was a much lower chance that it would heal, even with a brace. 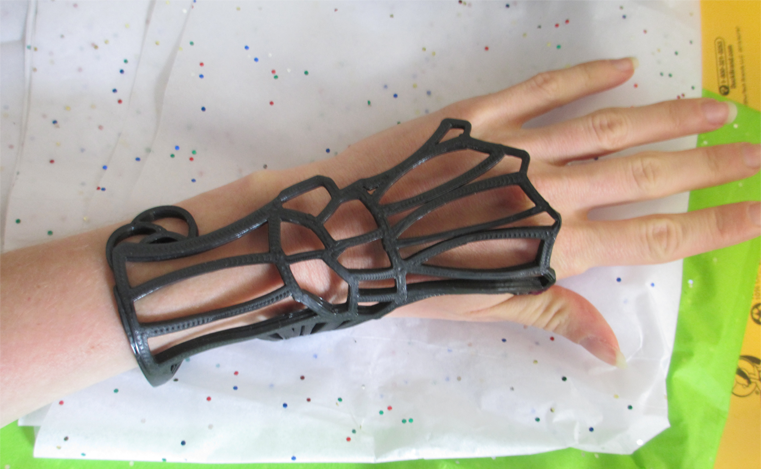 Pre-med student Rebecca Fox designed and 3D printed her own wrist brace after injuring her wrist in 2015. She tried using the fabric brace the doctor gave her, but it irritated her skin and didn’t fit the contours of her wrist and hand. Many people have the same reaction to the fabric braces, which means they must be removed frequently and provide less wrist support. She started thinking about making her own brace in polylactic acid (PLA), which is a biodegradable and bioactive polyester derived from renewable resources such as corn starch, tapioca roots, or sugarcane. She wanted it to be breathable and lightweight. The goal was to be able to wear it 24/7, which she hoped would cut down on the recovery time. That’s when she first started working with Autodesk Tinkercad to make her idea a reality. With access to a 3D printer at Old Town Library in Fort Collins, Colorado, she used Tinkercad to create a prototype. The first iteration was simple, but helped her visualize the basic design. From there, she used Tinkercad to flush out and test more intricate designs--keeping the function, but improving the aesthetic. Rebecca went through several design iterations before finalizing her intricate design. When she had a version she liked, she tested it on her own injured wrist. The result? “I stopped wearing the wrist brace months before I expected because my wrist had healed,” says Rebecca. Not only had it functioned better than expected, it had a few other unexpected benefits. It functioned like a tough fabric brace, but the material didn’t irritate her skin. It was easy to clean so it didn’t smell like the fabric versions that store dirt and bacteria. She knew she had created something special. Inspired by the success of the functionality, her next iteration focused on aesthetics. She felt that medical devices shouldn’t be cumbersome or cause embarrassment, especially for those who have to wear them for an extended period of time. What if it could be comfortable enough to feel like wearing clothing or jewelry? Wouldn’t it be exciting if you could swap out designs and colors to match what you're wearing? Or print a thicker brace if you needed something more heavy duty? This inspired her to create a version that had a pretty gingko leaf design, as well as a special skeleton version she wore on Halloween. People thought the brace was a fashion accessory. She received many compliments and even a few inquiries on how to obtain one. Rebecca took aesthetics into mind when reimagining the traditional wrist brace. 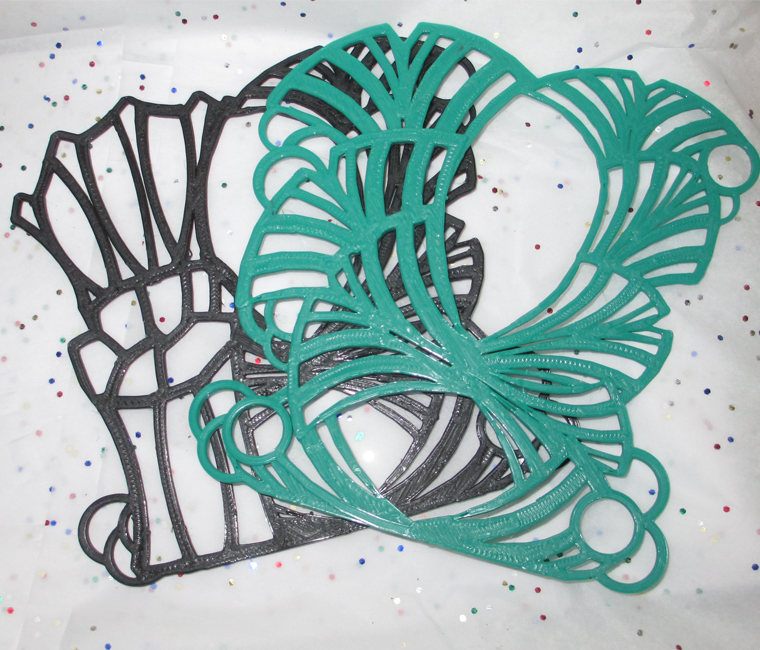 Rebecca decided to share her wrist brace design online and make it available for anyone to download the files. Using Tinkercad, she continues to improve the design by looking for stress spots to reinforce. She’d love to create designs for kids. This summer she wants to use some of her free time to cultivate her design skills. To do so, she is considering trying Autodesk Fusion 360 to help her work on more complex shapes and designs. Fusion 360 helps users quickly iterate on design ideas with sculpting tools and then test the designs with renderings and animations. And with all the great learning content available on Design Academy, it’s easy to get up and running fast. Rebecca still wears her wrist brace sometimes. But it’s now been reinvented for a new purpose. “I’ve remodeled it to hold my knitting,” she says with a smile. Once a troubleshooter, always a troubleshooter. Want to try your hand at your own designs? Check out to the links below for more creative ways to explore design. Rebecca has made her wrist brace designs available for anyone to download. Get inspired to make your own 3D designs using Tinkercad. This course explores the design and development of an economically viable prosthetic socket for above-the-knee amputees in the developing world. Make three different kinds of rings which will help you master the basic tools of Tinkercad. Take this beginner level introduction to 3D printing to learn everything you need to know to design and 3D print your own creations. Look for design inspiration or post your own creations to show off your talent with others. Luis Cordova is is a professional dentist with the passion for improving oral health. Using Fusion 360, he's created a functional device to improve oral health around the world. Learn what it takes to design for social impact. Get all your questions answered to take your designs from idea to reality. 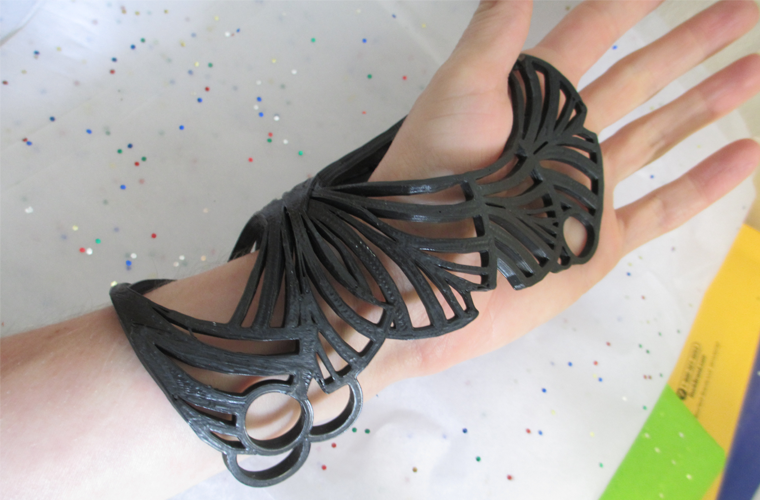 Sabrina Facchetti is a jewlery designer leveraging the power of 3D printing in her designs. She now teaches KiraKira students how to approach 3D modeling in Tinkercad and Fusion 360.